I do not know about you but Christmas has kind of snuck up on me. I do not know if it has to do with it being on a Sunday (I am not sure why that would matter but that seems to be the most logical answer) or that I am just extra busy this year. Whatever the reason, I am really starting to feel rushed and worried I will not get everything done I need to do. Maybe you are like me and have nothing done, or you might be like my friend that has had everything done since the great Black Friday Sales. Either way, take some time of your day to stop by Mankin and Sons Gardens to get the final touches for your Christmas. We obviously have great trees and last week you heard about our great stocking stuffer options. However, we also have some great decorations that are sure to put your home over the top this season. We have talked a few times about our farmhouse décor selection in the retail space but we have really gone all out with Santa, snow, and reindeer this season. No matter what Christmas decorations you are looking for we have you covered. We have beautiful pictures, subtle ceramic table toppers, and comfortable outdoor pillows (if we ever get temperatures above the 40s before Christmas). Our retail space will surely put you in the Christmas spirit, and if you are looking for that great Christmas smell to go along with these crisp cool days just step outside into our Christmas tree forest. 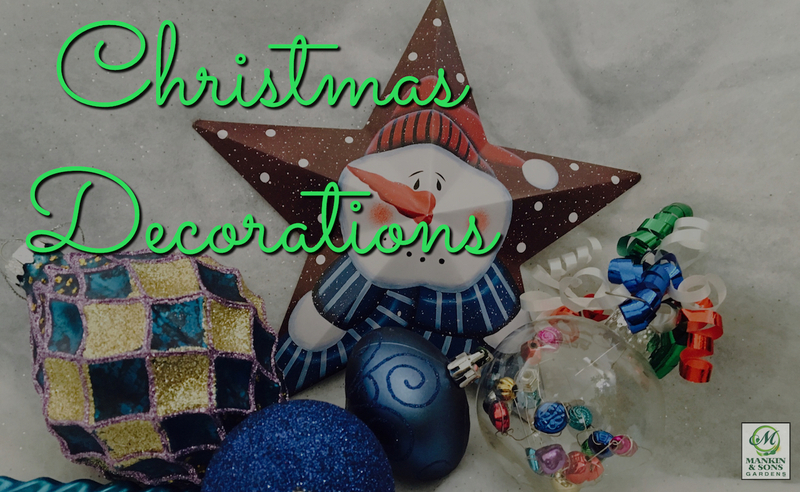 If you are like me and have a number of Christmas parties to drop by or need something for your office secret Santa, you might want to grab them some Christmas decorations from our selection. Quality Christmas decorations are a sure fire way to make that friend or co-worker smile this time of year. And with all of the stress that unfortunately follows this time of year, you might make their day or week.